GDP grew by 3.5% in the first half of 2016, at the same rate as in the previous year. Growth remained relatively balanced, with both private consumption and exports lending impetus. The continuing upturn contributed to a cyclical improvement in the fiscal position and a large headline surplus. 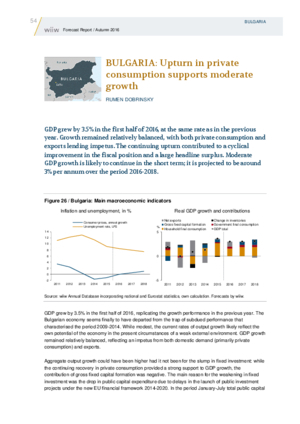 Moderate GDP growth is likely to continue in the short term; it is projected to be around 3% per annum over the period 2016-2018.